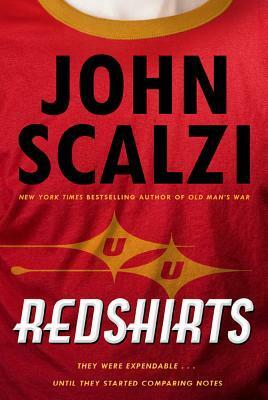 I didn’t have much time for reading this week, but I did finish the audio book of Redshirts. This was a different book, I enjoyed it for the most part but I also found some parts to be annoying. 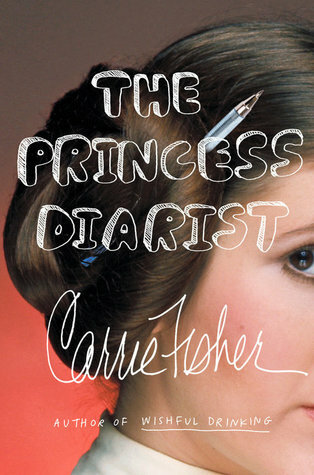 I’ll be posting a full review of this book in November. I spent quite a bit of time watching TV this week. On the PVR I watched more episodes of The Incredible Dr. Pol and a few episodes of Battle Castle. I know I also spent several hours staring at the TV but not really paying attention to what I was watching. On Netflix I watched the documentary Ghosts of the Mountain, which was supposed to be about snow leopards, but is actually more of a documentary about the people and challenges of making a documentary about snow leopards, so while okay it wasn’t what I was expecting. For Family Movie Night we watched Speed Racer, which was weird but good. We also watched Office Space this weekend with a couple of people my hubby works with who had never seen it, so that was fun. Didn’t do a lot due to being sick, so the first half of the week was mostly spent laying on the cough, watching TV and trying really hard to cough up my lungs. I did a bit of work in garden over the weekend, pulling plants out and readying the beds for winter. I also did some baking for orders – which mostly equated to making lots of dog treats.I took another load of donations out of the house because things aren’t selling and I refuse to hold onto this stuff for months just to make a few bucks. I’m not 100% sure what I will read this week. I may focus on finishing up Prophecy, or I might pick up a new short book. I think it’s going to be one of those weeks were I base my book choices on my mood. I’m running out of things to watch on the PVR and that’s a good thing. It’s finally down to under fifty items, so it won’t be long now before there is nothing on it. I think I will watch more Battle Castle this week, because I have been really enjoying that show. I have no idea what I need to do this week. I might just take it as an easy week, since I still have a pretty good lingering cough from my cold and I don’t want to push myself too hard until it’s fully gone. Sorry about your cough. I usually like Rick Riordan. It’s pretty typical, the joys of having asthma, but it’s better already. This series was my first experience with Rick Riordan, and now I’m not sure if I want to read more or not. I hope you are feeling better. I have Redshirts on my TBR mountain where it has been since it was published. Maybe one day… Come see my week here. Happy reading! I’m feeling better. Will probably be a few more days, or a week if I’m unlucky, to fully shake this cough. Gotta love those books that have been on our TBRs for too long and will get to eventually, ha ha. It happens, especially this time of year with the kids in school and the weather being wonky. I haven’t read any Aurura Teagarden books, but now I’m going to have to look into them. Sounds fun. I’m sticking with my usual mix of genres for the month, with a slight emphasis on SciFi since November is SciFi month and I need to be ready for it. I like your categorized post. I am sure you will find something to read. Mood reading works at times. Thanks. I think the categories help everything looks nicer and organized. Mood reading certainly works at times and this week it’s working for me.